All About Reading is a multisensory, mastery-based program that starts with essential pre-reading skills and continues on to teach all five key components of reading. This complete program teaches phonics, decoding, fluency, and comprehension in a fun and engaging way. Suitable for all ages and learning styles! After a lot of researching I decided to buy this program for my 6 yr old who was starting kindergarten. I purchased it because she loves animals and many of the stories include animals, which helps to peak her interest. Most stories have been interesting enough considering kinders can’t read too many words yet, but some are silly and don’t make a lot of sense. The activities are fine. There is a warm up page to read before each story and often an extra page of practice words to read. My kiddo hated reading boring lists of words so I skip the lists and have her read the story again if she needs extra practice. All in all, I’ve been happy with the program and we are buying the next level soon. We manage about 1/2 to 1 full lesson a day. (30 min) Reading hasn’t been difficult for her so we finished the first manual in 4 months, averaging 4-5 study sessions a week. I hope this review was helpful!!! Cons: more prep work on me but worth every second of it!! I chose this program after a lot of research and talking to other parents of ADHD children… I was very happy to learn this program was one of the best for children who need a little extra hands on stuff. As an ADHD mom it was overwhelming to figure all this out but once I got started it was just as fun for me and it was for my son!!! I LOVE that I no longer have to fight with him to sit and do school work and what an awesome feeling it is to see him flying through this program! We have really enjoyed using All About Reading. My son has made a lot of progress. We started using All About Reading in second grade after trying two other programs which weren’t working. Reading does not come as easily to this child as to my other two. However, with this program she is making more progress than with the other two. I really like how she is learning the rules for decoding words, love the review each day. She really enjoys reading the stories in the books. I also like the activities that are followed up with the skill that was just learned. I also need to mention how easy it is to prepare for the day’s lesson. Thankful to have found this. I heard about All About Reading when I saw posts from The Old Schoolhouse Magazine on FB. I used Abeka with my daughter, but I was struggling with my son. Abeka just was not a fit for him and I felt that it was so hard for me to gather EVERYTHING needed for Abeka’s curriculum. When you have 3 different grades going it can be overwhelming. Hearing him reading and seeing smiles instead of frustration lets me know we made the right choice. Awesome stuff! I feel like it is a more simple format for teachers than Abeka. No extras to buy! Everything you will need is included in the package. One can go completely broke buying all the recommended teaching aides from Abeka. Im a first time home schooling mother to a 5 year old boy. When I first started homeschooling I thought I could never be able to do it. But all about reading lays its all out simple. I love there app for phonograms, when im unsure of sounds I simply check it out before the lessons. Once we start I say the sound for him plus let him try on the phonogram app. I enjoy the bedtime syiries with ziggy it gives reading that extra touch especially when it can sometimes be a challenge to have my boy sit long enough. Often I read to him and let him hold it while we read. I love the fact that there is little preparation for me. I simply open the manual and suppplies and lessons plan are laid out simply. My favorite thing in all about reading though by far has been seeing the growth in my childs reading. When we started he only knew the letter names not sounds but now he starting to blend letters. Everyday I watch him with a smile as he takes one more step to independent reading. I have to share my thoughts about teaching my daughter to read, especially for all those parents who have a child who struggles to read. At first we were using Ordinary Guide to Teaching Reading which is a good book but wasn’t working for us. The search began for a new reading curriculum. I knew I needed something that was easy for me to prepare (life is busy with 4 kids). It had to be interactive, not just reading words off of a plain book, and it needed to be for someone who flipped her letters frequently. I found All About Reading. It is exactly what I was looking for. It is fun, cut and paste activities, games, lots of repetition with different mediums, easy to prepare (there is none). Best of all after 3 months of taking it slow with the curriculum she is reading with fluency and confidence. When I ask her to read she no longer has a fit, because she isn’t frustrated anymore. It is perfect for a Grade 1 and can be adjusted (you just eliminate some of the activities) for a child who is older. I am even learning reading rules (hacks) that I never knew. Totally worth the investment. They also have a spelling program which is just as amazing. Love the multi scensory approach. We tried a few different reading programs before AAR. Finally one that didn’t bring tears! 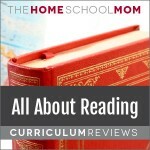 All About Reading Review by Carie F.
We love all about reading and spelling products. Both of my boys love the quick, fun lessons. It is easy to pick up and go, which is great for our busy schedule. I am looking forward to trying more products in the future! We pulled our kids (twins-3rd grade) out of public school half way through the school year. And we started with level 2 of All About Reading. One of our children was just a little behind and the other was really struggling. Both of them are advancing nicely. Our son who was really struggling isn’t complaining about reading now and is having an easier time with sounding out words. This program is easy to use. Open and go…some cutting for prep (kids like to help with that). But the lessons are nice and short and easy to follow. The price could be better…but we feel that this program is well worth the money. Really seems to be filling in the gaps that the kids (and I) have. My 4 year old loves the use of Ziggy, the Zebra Puppet, to help learn to read. It adds some fun to sometimes boring day of school. We also enjoy the supplemental games that go along with some of the lessons and they way everything is setup to help teach each lesson. I recommend this to all my friends. All About Reading Review by Dani S.
Cons: We wish there were extra readers! This is the first year homeschooling my 1st grade daughter, and I’ve been nothing but impressed by this program. I love that it’s all laid out for me, the lessons are easy to follow, my daughter loves the activity sheets and reading from the books. It has been a positive experience and definitely worth the investment. We are looking forward to continuing on to Level 3 soon. My daughter was struggling at public school Kindergarten. I pulled her out to homeshool for first grade and started the level 1 All About Reading curriculum. When we began, she despised reading because it was so difficult for her. She was only able to read a few words. We have been homeschooling for 8 months, and we are about 2/3 through level 2. I am sure we will finish it by the end of first grade. She went from struggling to read a word to reading chapter books! The best part? She now WANTS to read. She looks forward to it and enjoys it. I found that she learns in a different way. She needs multi-sensory experiences, visuals, activities, and lots of practice. All About Reading does this for her in an enjoyable way. Two thumbs up! We began using level 1 around the time my son turned 5. He was interested in reading, so I thought we’d give it a try. Though we really enjoyed the activities, it was a bit of a slow start. He could remember the letter sounds easily, but had to sound out every word for quite some time. Then, almost magically, at the end of level 1 everything really clicked for him. Now, he is doing so well. He tries to read EVERYTHING he sees. Many words are beyond what he has learned, but All About Reading has given him such a strong foundation. He loves reading! Also, I really like the layout of the program. Each lesson is setup to be quick and easy to teach! I like everything about this program and plan to continue using it in the future and for all of my kids. We started AAR level 3 this year with our daughter. We are so thankful that we invested the money into this reading curriculum, it has helped our daughter have confidence in reading. The lessons are laid out so nice, opening the book and just being able to start has been a huge help. My husband and I both teach different days so knowing either one of us can pick up and continue the lessons with no planning is wonderful. Our daughter loves the activities, and the stories that always keep her interest. This reading curriculum has been a big blessing to our family. We cannot wait for level 4 to come out. I absolutely love this program! I have a struggling reader, and I needed a multi-sensory program. I cannot say enough positives things about All About Reading. The student’s pages are made into a game, so my son have never complained about doing it. It is actually his favorite part of the lesson. Sometimes the fluency lessons can be too much for him. We started to break the pages up to make it less stressful. Overall, it is an amazing program! We just finished Level 1 with my kindergarten daughter and are beginning Level 2 soon. I debated on which program to use for months. Being a former teacher for upper elementary I struggled with how I would teach my kids how to read. I decided on this program and couldn’t be happier! My daughter has blossomed into a confident young reader. The readers are very cute and go from easy to more challenging as you go. The fluency sheets were a bit much at times but with proper motivation (chocolate chip after each section, jumping jacks, breaking them up into 2-3 days etc), and sometimes skipping bits here and there, I could definitely see the benefits of them. The activities with each lesson were always engaging and reinforced what she was learning. We also used the Ziggy supplemental games and my daughter absolutely loved them. It broke up some of the hard stuff with fun stuff. She adores ziggy! Looking forward to starting level 2! We just started all about reading level 1 last week with my son. I love how easy it is for me to just open the teachers book and go. No extensive prep work or lesson planning for me, which was very important to me. My 4.5 yr old is pretty advanced for his age in terms of reading so we are breezing through the lessons on level 1, but I don’t think he is quite ready for level 2. But that’s what I love, is that I’m able to pick and choose what topics I feel we need to focus on, and skip over the tasks he already has mastered. This program is laid out so nicely and my son really enjoys it . We look forward to starting the All About Spelling program too! Customer service on the phone has been extremely helpful and they are so knowledgeable. I am so happy that we found this program and look forward to progressing through the levels! I started my daughter on All About Reading about three weeks ago. She has been using the program for two weeks now and there has been a huge difference. My daughter struggled with reading until we started All About Reading. Since she was given the techniques in All About Reading to help her read she has excelled. I started on level 2. She went from barely reading to reading everything she can get her hands on. She has only read three of the stories in her reading book but she reads them fluently and without mistakes. I was amazed with the results and how quickly they occurred. My daughter has no learning curve, when she gets it that is it. I do not expect my younger daughter to pick it up that quick, but I will still be using with her too. She has started the pre-reading program and is loving it. Pros: Very easy to use. Keeps children engaged. Doesn't skip on anything. We just started using All About Reading Level 2 with my 6 year old son and Pre-reading Level with my 5 year old son. English is my second language and teaching my kids to read can be a little difficult for me. This program is helping me a lot to be better as a teacher for them. I absolutely love the CD with the sounds. We are using Level 2 for my 6 year old son right now. He is a really good reader already and this Level is very easy for him. I decided to still go over it with him because I want to make sure he didn’t skip any rules. He loves the activities and asks to start our school day by All About Reading. I highly recommend this curriculum and already recommending it to my friends! Absolutely love All about Reading. I used it for my oldest who was already reading, but this program gave him such a good review and foundation. My youngest has just completed level 1 and started level 2 this week. He felt so accomplished to finish level 1 and he is making such good progress! He feels confident and reads more on his own. I can’t say enough about the kind customer service at All about Learning. I have emailed countless questions, and they quickly respond. Not just with a canned answer, but with thorough and thoughful ideas that address your child’s needs. 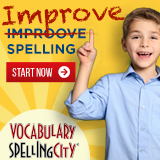 We have also used All about Spelling 1, 2, and 3, and will be purchasing level 4 this summer. My one regret is that I didn’t use the pre-reading level with Ziggy! This is a great program that allows you to meet the needs of your child. We went from a very struggling reader to one that has confidence and excitement when it comes to reading. He is starting to excel and catch up to his peers. IT is easy to use, the lessons are straight forward and easily modified to meet your needs. You can go slow or fast, there is no need to worry that you might miss something as everything is reviewed and you can always go back and review something if you need. I love that it is a reading program that I can use for a wiggly little guy. Can not wait to use it for our daughter when she gets a little bigger. I have used Levels 1 and 2 this year and love how easy this program is to pick up and teach. My daughter has come a long way this year in reading. She loves the program and looks forward to it each day. The hands on activities are her favorite. I would prefer that there weren’t so many activites that get cut into such tiny pieces but I think those might be the ones she likes best. After trying several reading programs I can honestly say that All About Reading is by far the best. We are using all about reading level 2. My son loves it. He is always asking to get out the activities to just play with them. He loves reading the stories and will read them to anyone who will listen. I Iove how easy the lessons are. As a first time homeschooler I really wanted something that would walk me through the lessons. He’s really learned the rules for reading so when he comes to a word he doesn’t know he can use the rules we learned to sound it out. I can’t wait to use the pre-readers level next year with our second child and move on the level 3 with my oldest. I am using the Level 2 All About Reading with my 1st and 3rd grader. My 3rd grader started with it at the beginning of the year. She is a challenged reader, who would probably test dyslexic. We have tried 2 phonics programs before this one (Hooked on Phonics and Abeka) and after years of struggle made very slow progress and a very frustrated student. Using this program, she has a much easier time and feels good about her reading. It is slower in its presentation of new sounds and blends and more expensive than the other 2 programs we tried, but since 1) it works and 2) it is fun, it is very worth it. Her sister is a good reader, who went through the first grade Hooked on Phonics easily, but she likes AAR2 MUCH better. She can go quickly through the exercises and doesn’t need as much review but still loves using the tiles, writing on the dry erase board, doing the games, feeding her flashcards to the tissue box monster she made, and reading the fun stories. I think that this is a great program for students who read easily and for those who are challenged. I cannot say enough great things about All About Reading. I did the full Pre-Reading program with my son, and even though he already knew his letters and letter sounds before we started, he was completely engaged the entire time. I originally thought using Ziggy would be silly and pointless, but my kids are IN LOVE WITH ZIGGY!! They beg for him to come out and ‘help’ with school. My son breezed through pre-reading and is now halfway through level 1. He even looked over my shoulder while we were doing level 1 and realized there was Ziggy activities we were not doing (the supplemental book) and begged for me to purchase the extra book so that we could do more!! The support I’ve received from AAR is great too–I contacted them when he was struggling getting through the Fluency Practice Sheets and they gave me so many ideas to use. He now has no problems with them at all. I tell every new homeschooling family how much we love the program and am very glad we chose it. My daughter is now using pre-reading and it is just as engaging the second time around and even though both kids are very different learners, it is successful with both! My daughter just finished the pre-reading program. She started the program knowing her letter sounds, but unable to understand rhymes, count syllables, etc. She immediately was excited about the program (and Ziggy) and was always excited to do the lessons…she found them fun and refers to them as “playing Ziggy’s games”. I quickly saw significant improvement in her understanding of rhymes and her ability to name words that start with each letter. By the end of the program, she had an excellent pre-reading foundation, and is now sounding out words. We tried sounding out words before the pre-reading program and she just could not grasp the concept; now she can do it without any trouble. I recommend the pre-reading program without any hesitation, and I look forward to trying the next level of AAR! I absolutely love this program. It is so easy to teach, just grab and go. It’s not too easy for my son, but I can go at his pace. I do as much in one day as he can handle. There is a lot of review built in and fun little games that keep him interested. I said expensive was a con, but honestly it is worth every penny. My daughter did not like reading and had only gotten frustrated with everything we had tried. She loved All About Reading, and her reading has taken off since we started using the program. She likes the stories and doesn’t complain about doing her reading lessons, which is a nice change. We finished level 2 and have moved onto level 3 already this year. I love that we’ve found something that she enjoys. My only criticism, and it’s small, is that the majority of the activity book is little cut out pieces to games and such. While we like the games, a few go a long way. My daughter much prefers the pages where you get to write on the page or cut and then glue onto the page. I’d like to see more worksheets that remain intact in that way and a few less pieces. I had a struggling reader and had tried 3 different reading curriculum that had good reputations. Each time we would get to lesson 80 or so and my child would be in tears and still was not reading. In desperation I tried All About Reading. My child loved the curriculum. There were never tears. My daughter has been through level 3 now and her reading comprehension on the CAT test was a 6th grade level. She reads the Bible to us every night and loves to read chapter books. My younger daughter is now going through the program and it is working just as well with her (although she doesn’t struggle with reading she enjoys the fun activities). 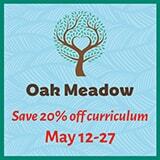 I believe this is the absolute best curriculum on the market (and I have tried so many). I wish All About Learning Press made grammar and math curriculum too because their teacher’s guides are the absolute best! We also use All About Spelling and will purchase All About Reading Level 4 when it comes out.